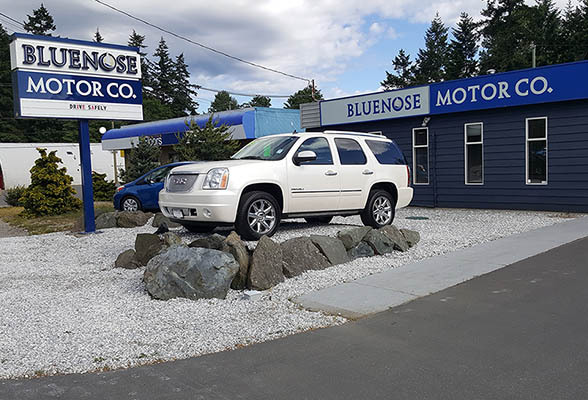 Welcome to Bluenose Motor Company, your Oceanside destination for quality pre-owned vehicles, and warranty approved service! Bluenose offers a vast selection of pre-owned import vehicles. We have a wide selection of choices including Import Cars, Trucks, SUVs, Crossovers, and Minivans. We stock a wide variety of Japanese, Korean, and German Imports including Toyota, Honda, Lexus, Subaru, Mazda, Hyundai, Mercedes-Benz, BMW and Volkswagen. In addition to offering quality pre-owned automobiles, we can custom order new vehicles. We focus on finding the right vehicle for our customer's needs. We purchase automobiles privately, and can assist you in the termination of your lease. Bluenose is certified by the Motor Vehicle Sales Authority of British Columbia and is a member of the BC Automotive Retailers Association. Our state of the art service and detail facility will keep your vehicle running smoothly and looking its very best. With our certified team of automotive professionals, we can offer high quality, personalized vehicle service that is compatible with your manufacturer's warranty.